Floss: Embroidery floss in the colors listed on the chart. Or choose your own colors. First print the pattern and color key. Individual squares are located by counting from the 4 holes in each corner (around where the threads cross). The design is counted from the chart, not marked on the fabric. Each colored square on the chart corresponds to a woven “square” on the fabric. Each thread color is represented by a color on the chart. You must keep your project clean. : – ) So, wash your hands every time before you begin. You don’t want oils from your skin to leave stains on the fabric. The center of the pattern is marked with a bright pink dot. It’s important for the design be centered. Then fold it in half again across the width. The point where the folds meet is the center. Then count out from the center to confirm that it’s accurate. Embroidery floss comes in 6 strands. Find the color you need from the chart near the center to start, and cut an 18” piece. 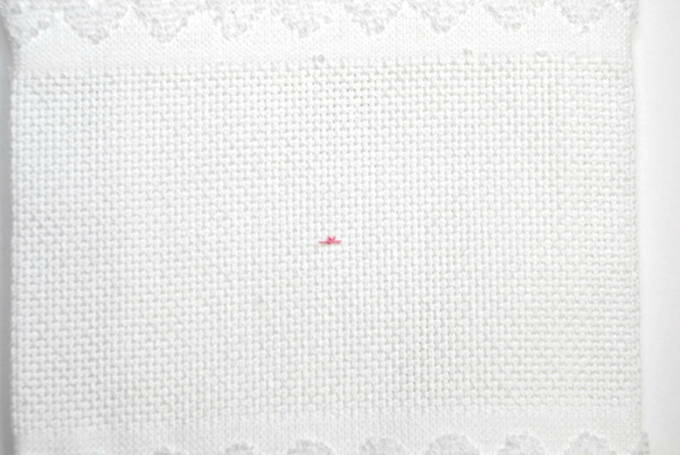 Separate the strands so you have 2 for cross stitches. 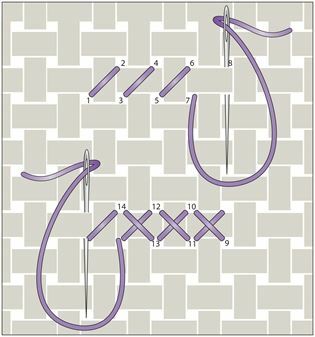 Thread your needle by freshly trimming, wetting, and flattening the floss to get it through the hole. Always make sure you have at least 3 inches of tail so it won’t come unthreaded. 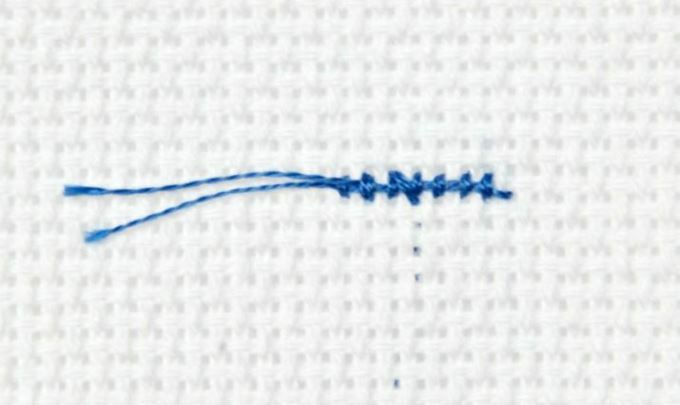 Stitch from the center and work outward. 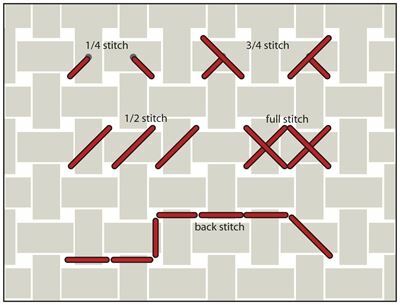 Draw a stitch up through the bottom left hole of the indicated square, pull up until there’s at least an inch of tail left behind. Hold it with your finger so it doesn’t pull free and is in the direction you plan to stitch. Then draw down through the top right hole. 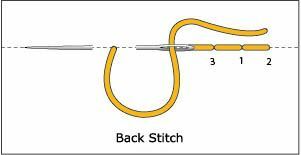 Do this with several stitches to make sure that tail thread stays secure. Then cut the excess off. Use this method the most. You may need to complete each X as you go for vertical rows. 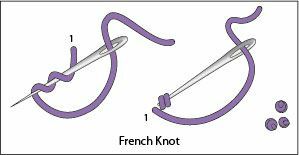 Your stitches must have consistent tension, not too tight or too loose. The stitches should lay flat against the fabric. It’s important that all of the X’s are crossed in the same direction. you can carry (or weave) through threads on the back to get to the new area. Since this pattern has unstitched areas instead of a background, any thread taken across an open area in the back will show through. 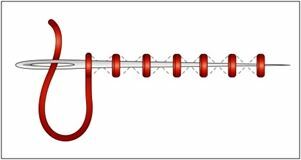 If your thread is getting twisted, let the needle hang from your work until it untwists itself. Always check the back of your work — make sure you have the correct tension and that there are no tangles. I cross off the squares on the pattern as I go to keep track of where I’m at. 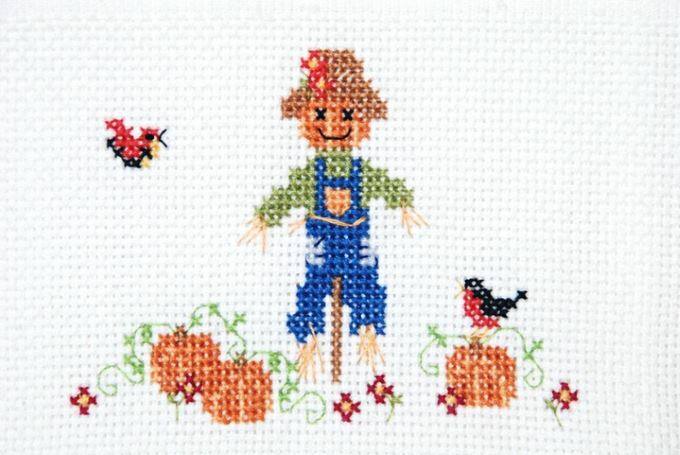 There are a few 3/4ths stitches around his overalls pocket. Or you can weave in a z pattern to make it more secure. After you thread a new color on the needle, run it under several stitches on the back to secure the thread and then continue stitching. 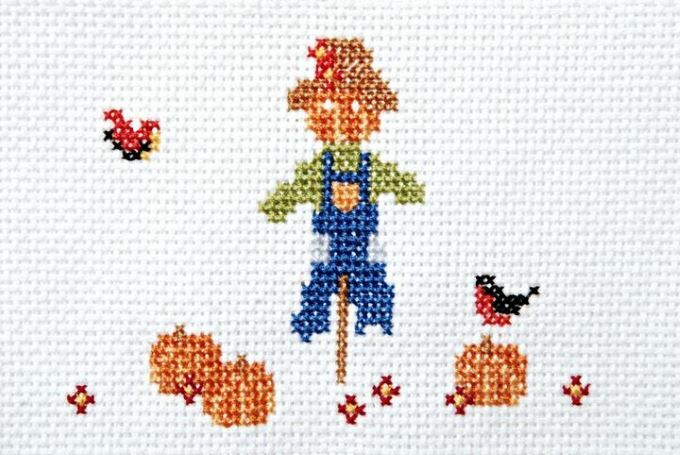 The bird’s eye is a French knot made with 1 thread. When your needle is up you wrap the thread twice around the tip of the needle. The floss needs to be continuously held taut as its wound around the needle. Then stick your needle through the fabric that’s super close to where you just came out of. With two strands of thread, I made a loose stitch across his waist. Then went back down where I came up. Remove the basting stitch that marked the center of the towel. Hand wash in lukewarm water using a mild liquid soap.